When is Native American Day 2019 & 2020? When is Native American Day 2019? 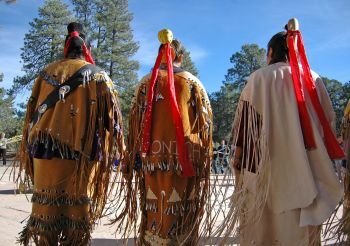 Native American Day is an occasion to pay tribute to the culture, traditions and accomplishments of native American people and their many contributions to the United States. It is currently an official state holiday only in South Dakota and California. 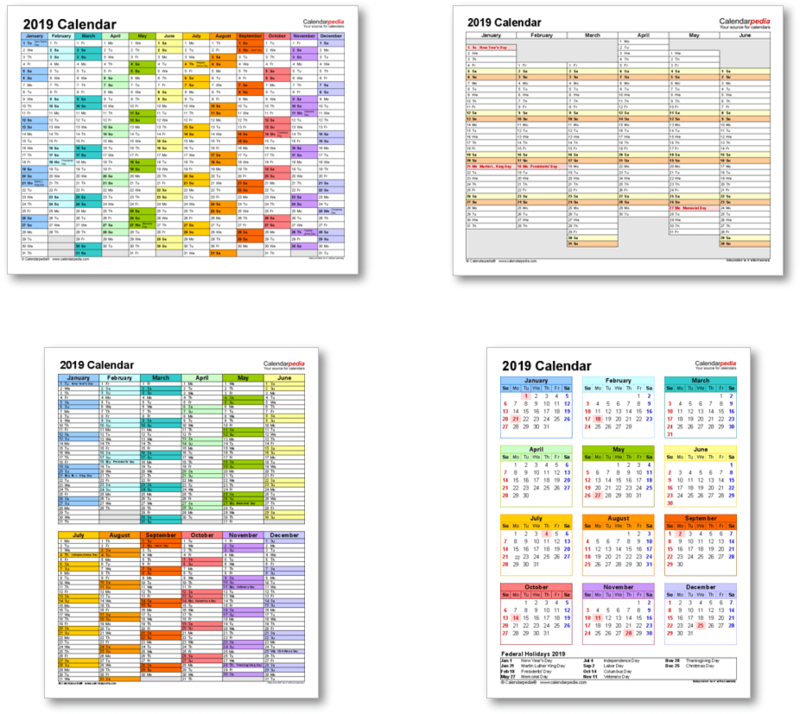 In South Dakota it is celebrated on the second Monday of October (the dates shown on this page), while in California it is celebrated on the fourth Friday in September. In South Dakota it falls on the same day as the United States federal holiday Columbus Day that commemorates the arrival of Christopher Columbus in the Americas in 1492. This holiday is increasingly controversial due to the catastrophic impact of European settlement on native populations. 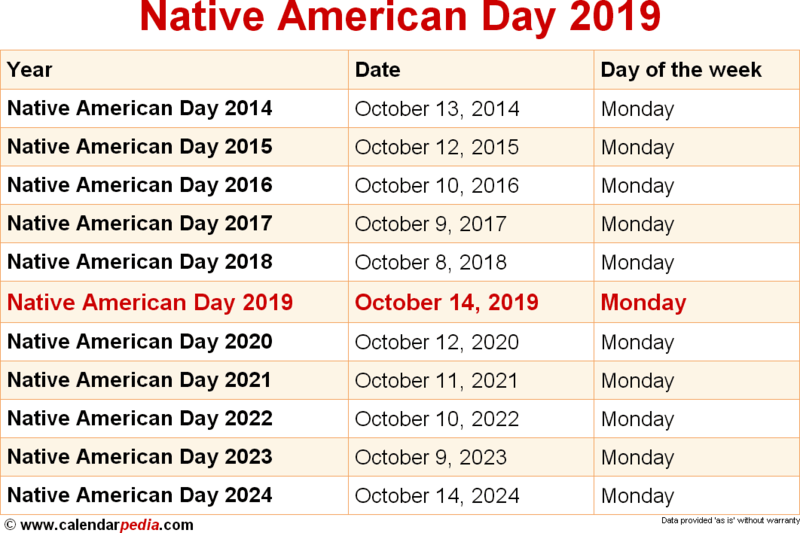 Consequently, several states do not recognize the holiday and others celebrate it as Native American Day, Indigenous Peoples' Day, American Indian Day or American Indian Heritage Day (the dates differ in different states). When is Native American Day 2020? The next occurrence of Native American Day is marked in red.